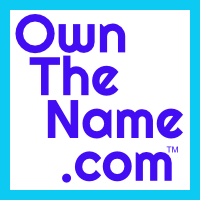 The perfect domain name can make or break a business. So many people under rate the value of the domain to the overall value of a company or organization. One of the best ways to select a name that will add value to a business is by using what is called an "Exact Match Keyword" domain. That is where the domain explicitly explains what the organization does. For example, if you sell home security lighting, then HomeSecurityLighting.com is an excellent Exact Match Keyword domain. If you are in the business of selling Vapes, then VapeSales.com would be a good match. The "Value" of the domain has to do with memorability. If it is easy to remember, customers can find the business so much easier. There is so much competition and so much noise on the internet, it is too easy to get forgotten if the domain name is not short, memorable and descriptive of the business. Earlier this week I saw a commercial while at the gym for reading glasses. Like many people over 45, I benefit from a little help for reading the small print. I don't need prescription glasses, just some standard 2.0 reading glasses. The commercial showed a wide selection of styles and colors for the glasses and even an option for different magnification for each eye. The pricing looked good also. I waited to see how to find them later. I can never remember the 1-800 numbers and was hoping that they would post the URL (domain name). I was amazed when the commercial finally showed their contact info. What would be the best Exact Keyword Match domain if you were selling Reading Glasses? Readers.com! That is one that I could easily remember after my workout and ride home. Ooops. By the time I got home, I forgot I wanted to learn more about this company that sold reading glasses. But, when I woke up the next day and put on my readers to work on my computer, I remembered. I typed in the Exact Match Keyword for what I needed and found exactly what I wanted - a large selection of economical reading glasses. And they got some of my money. That is what you want out of your Exact Match Keyword domain. You want people to be able to easily find you so they can spend money with you and memorable enough so they can find you again later.